The proceeds from every shirt sold support Girl Up's campaign to promote the health, safety, and education of girls in developing countries. 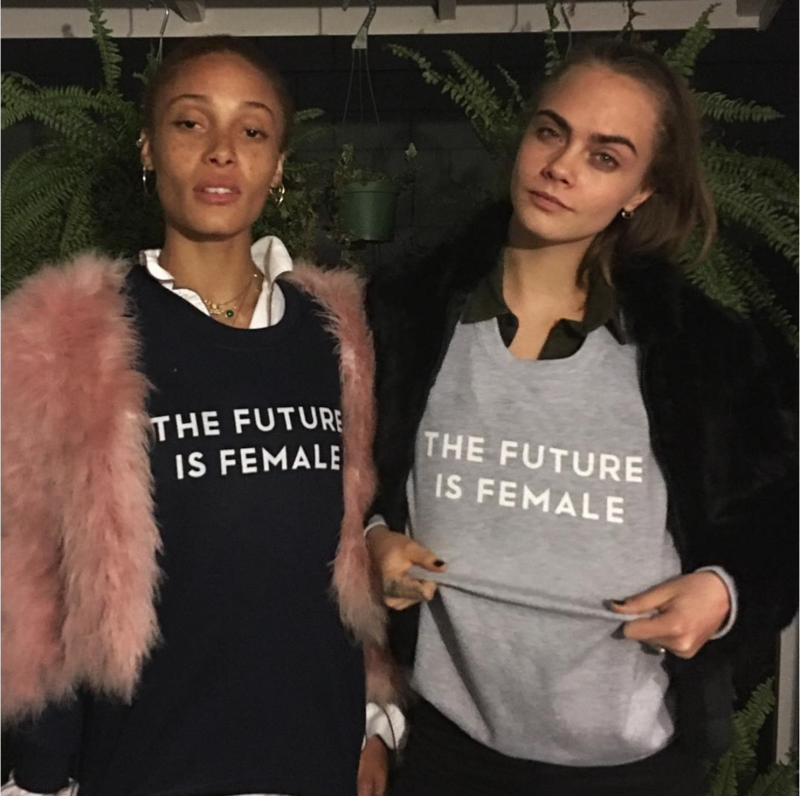 Annie Clark and Cara Delevingne wearing The Future is Female sweatshirt. A variety of colors and styles are available in the drop-down. International Shipping on "The Future is Female" campaign is Available. Girls are powerful. When they’re educated, healthy, and safe, they transform their communities. When girls stand up for girls in need, they empower each other and transform our world. As the United Nations Foundation’s adolescent girl campaign, Girl Up engages girls to take action. Led by a community of nearly half a million passionate advocates raising awareness and funds, our efforts help the hardest to reach girls living in places where it is hardest to be a girl.